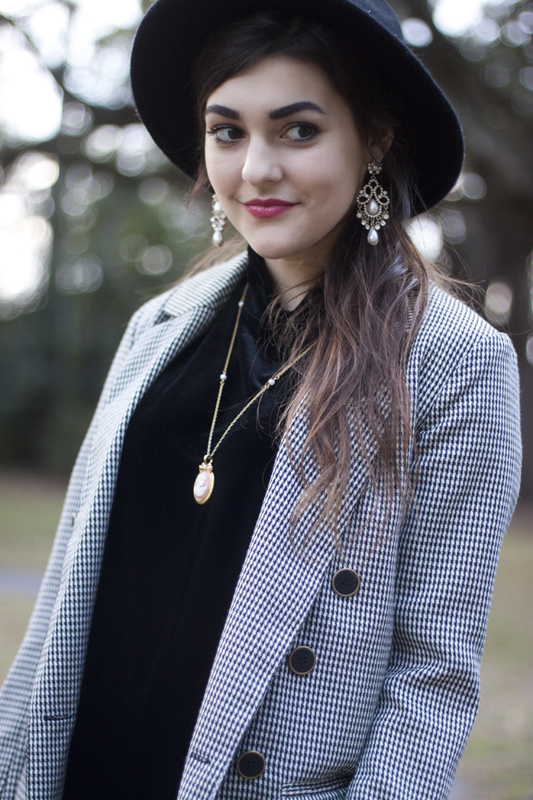 Wearing: Thrifted shirt, Forever 21 hat, Forever 21 blazer, Zara boots, Bullhead jeans, Vintage necklace. I've been endlessly searching for a black velvet turtleneck anytime I go thrifting, and when I finally found this one the other day I died of excitement! I'm addicted to velvet right now for the holidays and this shirt in particular pretty much goes well with anything, but today I decided to pair it with my houndstooth blazer from Forever 21 and some light wash jeans for a more laid back, menswear-inspired look on this chilly day! That velvet turtleneck was a great find! It looks so nice and cozy. Velvet is always perfect for this time of year. I really love your houndstooth blazer paired with it. I love your top! I just found a great velvet top at LOFT recently! 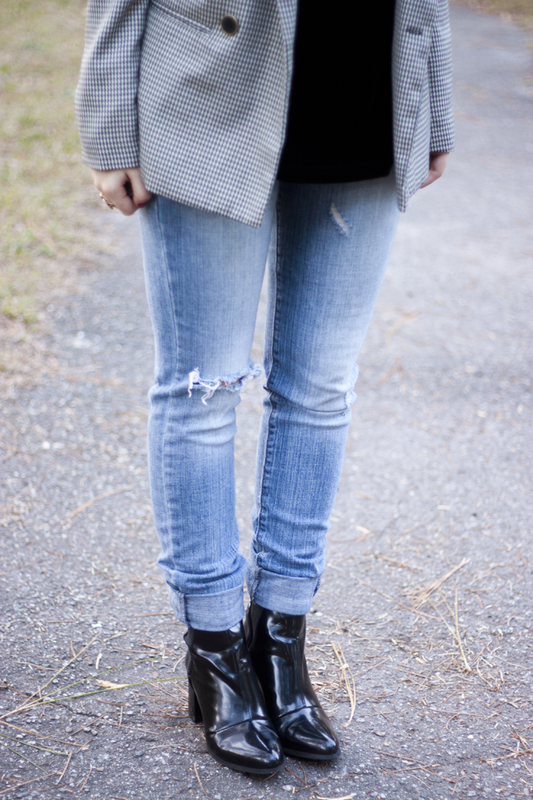 I love that you paired light-wash jeans with black booties. This outfit is amazing!